Nephrology involves the treatment of the kidneys and urinary system. The nephrologist monitors abnormalities in the kidneys related to diabetes, renal diseases, and metabolic imbalances. Nephrology addresses the physiology and diseases of the kidneys. Diseases of the kidneys include diabetes, high blood pressure, kidney stones, and renal failure. Treatments in nephrology can include medications, renal replacement, and surgical intervention. Nephrology is a branch of internal medicine. One subspecialty of nephrology is pediatric nephrology which examines the kidney and urinary system of children. These specialists work very closely with urologists and endocrinologists to develop treatment strategies. What are the commonly associated medical diseases or symptoms? Nephrologists develop treatments and management plans for chronic conditions of the kidneys and urinary tract. Common diseases include but are not limited to kidney failure, glomerulonephritis, renal artery stenosis, hypertension, kidney stones, urinary tract infections, glycosuria, proteinuria and genetically conferred kidney diseases. Symptoms associated with these complications may consist of edema (swelling due to fluid build-up), burning sensation when urinating (called dysuria), changing patterns of urination, high blood pressure, back pain, nausea and metabolic imbalances in urine solution. What are the commonly associated medical procedures? The most common procedures include nephrectomy, kidney dialysis, and kidney transplant. A nephrectomy is a procedure that surgically removes a non-functioning kidney either partially or completely. Kidney dialysis is a medical procedure that filters harmful wastes from the body’s blood which acts as a substitute for a poorly functioning kidney. A kidney transplant replaces a failing kidney with a donor’s healthy kidney. Are there any preventative measures I can take? Certain nephrological disorders such as genetically conferred kidney diseases are not preventable, but there are many healthy practices that professionals believe prevent the onset of additional conditions and existing disorders more manageable. Lifestyle changes such as reducing the amount of salt consumed, refraining from smoking and exercising are appropriate for kidney health. Drinking water frequently throughout the day is also recommended to maintain healthy kidney function. Occasional urine tests and blood tests are also helpful to make sure the kidneys are functioning properly. What are the common misconceptions about this specialty? One misconception related to kidney health is that the kidneys are healthy if they are passing urine. 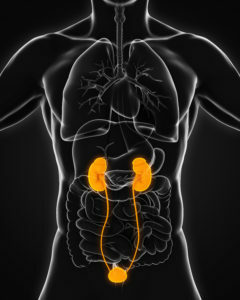 Damaged, improperly functioning kidneys are still capable of producing urine. The best way to be attentive to kidney health is to receive blood and urine testing if experiencing adverse symptoms. All GlobeHealer Site content, including graphics, images, logos, and text, among other materials on the site are for educational purposes only. This content is not intended to be a substitute for professional medical advice, and you should always contact your physician or qualified health provider for information regarding your health. Information on this site regarding the overview, diagnosis, and treatment of any kind should be looked at, in addition to the advice and information of your health care professional. Do not disregard medical advice or delay seeking treatment or medical advice due to information found on the GlobeHealer site. If there is even the possibility that you may have a medical emergency, seek treatment, call your doctor, or call your local emergency telephone number immediately. GlobeHealer does not endorse being the first line of communication in case of emergency and does not endorse any specific test, physician, facility, product, procedure, opinion, or other information that is or may be mentioned on this site or affiliated entities. Reliance of any and all information provided by GlobeHealer, its employees, affiliations, others appearing on the Site under the invitation of GlobeHealer, or visitors of the site is solely at your own risk and is not the responsibility of GlobeHealer.